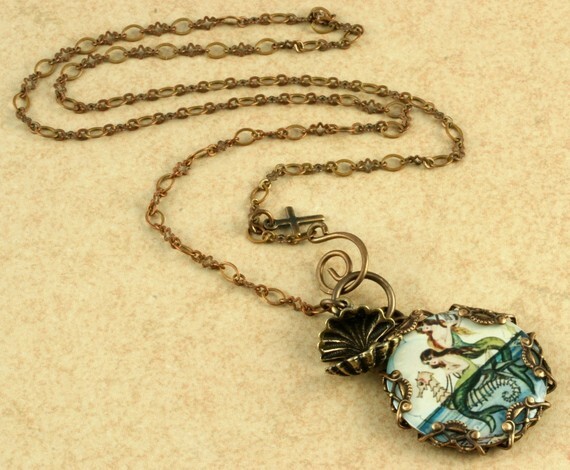 2000 & 1000: FOR THE CROSS JEWLRY MERMAID GIVE AWAY! As you know I've been promising some nice things to happen to celebrate my 2,000 blogger followers & 1,000 Facebook likes. 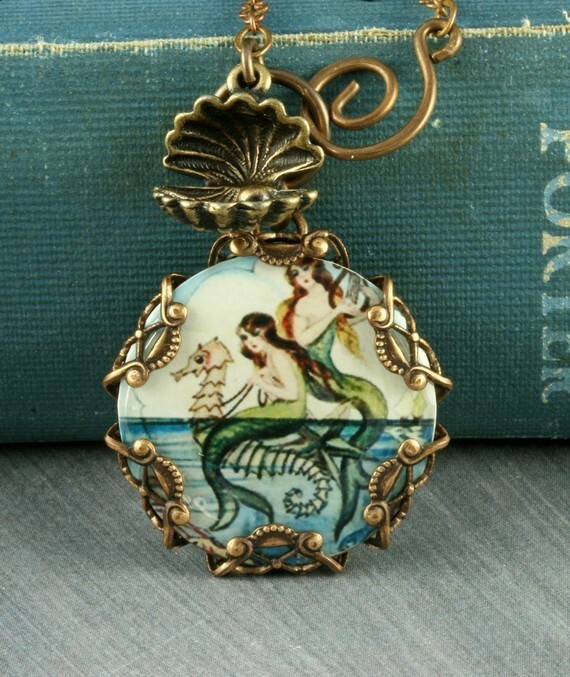 And now I am more than happy to be able to tell you that one of my absolute favorite Etsy sellers, For the Cross Jewelry, is giving away one of the shops most popular pieces; the mermaid necklace, to one lucky reader of mine! I really adore the style of For The Cross Jewelry. Terri who is the designer tells me she loves to create pieces that look as if they've been plucked out of an antique store or estate sale. She finds it very important that her creations are not only unique, but also flirty, feminine and sometimes edgy. And they have to be fun too! A percentage of the sales goes to people in need. As usual you need to leave a me comment on this post in order to enter the giveaway. Leave me your email if you do not have a site/blog to link to, and make sure your blogger profile is available. You may only enter once which means leave me only one comment. However, if you blog or tweet or link to this post you can leave me another comment (per link) telling me you've done so, linking to your post. I will draw the winner randomly next Monday, May 9th!